"Neither advocacy nor indictment of deer hunting, Deer Camp documents the rituals and traditions of hunting season in Vermont's fabled Northeast Kingdom, a landscape increasingly threatened by development and changing social values." --the publisher. "John Miller's text and photographs capture the culture of hunting. . . . The cabins, the hunters, and their families, and hunting artifacts and memorabilia are evocatively chronicled. 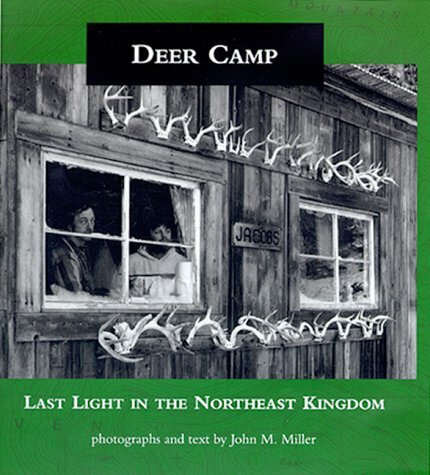 The sixty black-and-white photographs record with unsentimental honesty the multigenerational ritual of deer camps. . . ."--the publisher.